Spring is a great time for smoothies. I love smoothies as they are a great way to enjoy fruit and they make for a nutritious snack or breakfast. I always have plenty of frozen fruit in my freezer so I can whip a smoothie in no time. Some of my favorite frozen fruits are mangos, peaches, strawberries, and blueberries. I think frozen fruits make my smoothies taste so much better too. 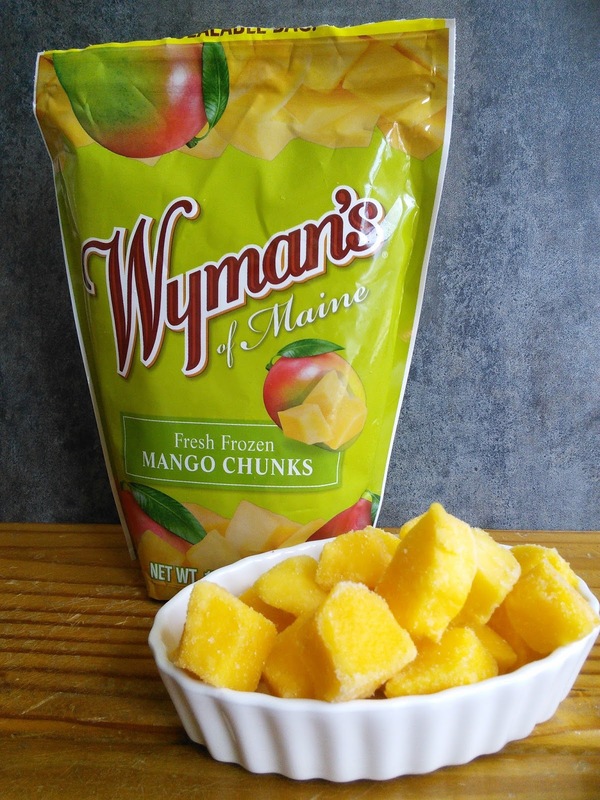 My favorite fruit to use is Wyman's of Maine as they process their fruit within 24 hours of harvest, thus locking in the fresh fruit flavor. I just love the creamy texture that frozen fruit gives to my smoothies also. Wyman's of Maine carries so many different fruits so I can make a different smoothie every day. My boys love when I make them a smoothie for an afternoon treat. Their favorite smoothie is made with frozen mango and coconut flakes. It is a wonderful tropical frozen drink. I add chia seeds to give my boys some heart healthy omegas and protein. 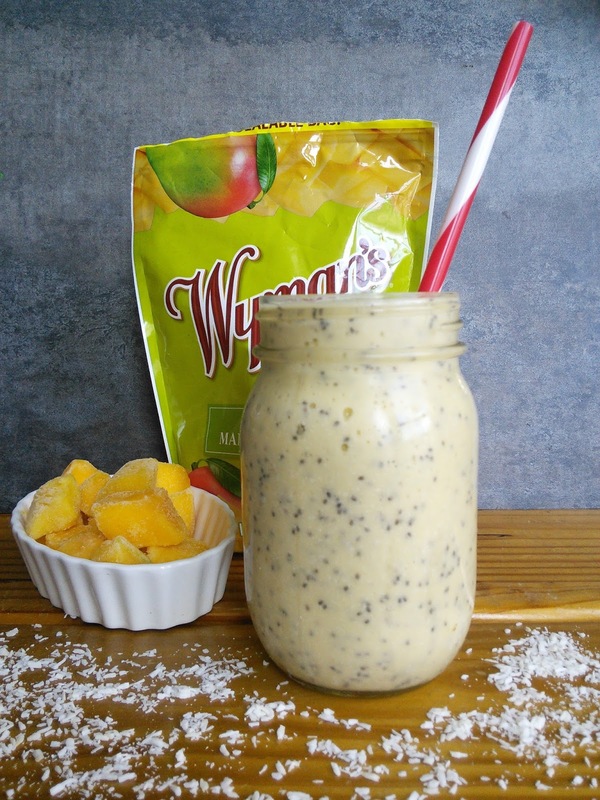 Check out my recipe and then keep reading to see how your favorite smoothie recipe can win you a top of the line blender and a one-year supply of Wyman's frozen fruit. Place all ingredients except chia seeds into a blender. Blend until smooth and frothy.Stir in chia seeds with a spoon and pour into a glass. This makes one generous serving or 2 kid-size smoothies. Wyman's is launching a sweepstakes called Spring Into Smoothies. Wyman's is hosting an awesome giveaway on their Instagram page. They are asking Instagram users to post a photo of their favorite smoothie, that uses Wyman's of Maine frozen fruit, and include the recipe in the caption. One must tag @wymansfruit and use the dedicated hashtag #SpringIntoSmoothies. The idea is to show off the vibrant varieties of smoothies using Wyman's fresh, healthy fruit. Any variety of Wyman’s is fine with us. Each time someone uses the hashtag during the 4-week period, they will be entered to win a top of the line blender ($500 value) and a one-year supply of Wyman's frozen fruit. All participants can enter once per week during the 4-week period. Visit http://www.wymans.com/ to see all the delicious varieties of frozen fruit and to get some smoothie ideas. I bought my Wyman's frozen mangos at Sprouts. To see what stores near you carry this delicious frozen fruit, visit the store locator on the Wyman's website-- http://www.wymans.com/article/store-locator. What is your favorite frozen fruit smoothie? "These opinions are my own and I received 2 bags of Wyman's frozen fruit to facilitate this post." That smoothie sounds delish. I can't wait to try one. I adore mangoes! This smoothie looks delicious. I've gotta get behind chia seeds still but this looks fabulous. Sound delicious! I love raspberry smoothies. I think I will add a little coconut to my next one. Sounds delicious and looks amazingly yummy, im gonna give it a try! I love smoothies with tropical fruits especially during the warmer seasons. Thanks for sharing this recipe. Mango and coconut is the perfect combination! This smoothie looks filling and refreshing! Oh I love smoothie season. I love buying the giant bags of frozen fruit and just having a smoothie every afternoon! Ohh looks so good! Smoothies are the best especially it is Spring. Thanks for sharing! Ummm mangos - I like to eat them in just about anything and they make a nice smelling bubble bath too. This is definitely one smoothie that I would love to have ... it looks nutritious and delicious all at the same time. I make daily a frozen blueberry banana smoothie. A yummy smoothie makes me day. I'm a little bit fan of smoothies. This recipe looks quite tasty. Yum!!! THAT LOOKS AMAZING!!! I AM SOOOO INTO THAT :D So thick and creamy!! My boys just ate a smoothie after school yesterday. I need to let them try mango and see what they think. This smoothie looks so delicious, love all the ingredients, especially mango! 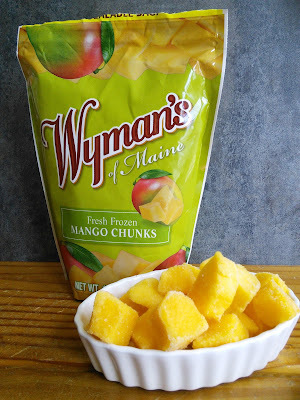 I’ve never heard of Wyman's of Maine frozen fruit, I’d love to try it! Thank you! Oh my goodness! Mango + Chia Seeds = BEST EVER!! i love smoothies and this looks amazing. I love mango so i know i would def love this. Your smoothie looks simply divine I love mango smoothies but I have never tried it with chia. Chia is meant to be really delicious isn't it? This sounds so yummy. The first thing I did after reading was share it to FB so I can save the link. I need this in my life! My favorite frozen fruit for smoothies is strawberries - I'll sometimes throw in some blueberries or a banana, but the base fruit is always strawberries! I love fruit based smoothies so this is alright by me! Sounds good. Omg this smoothie sounds absolutely delicious!!!! I just love mangos!